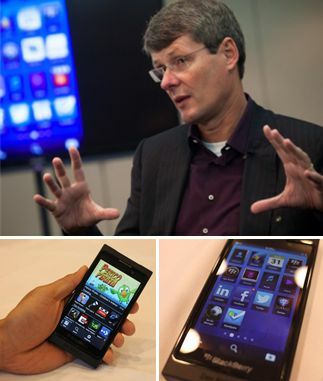 In an exclusive interview, RIM CEO Thorsten Heins, has vowed that with the launch of the BlackBerry 10 on January 30, 2013, RIM is likely to win back its lost customers. However, with two brand-new smartphones lined up for the global launch, and more partnerships in the works, Heins and his team are optimistic. Here's what RIM's leader says about BlackBerry's next generation. Responding to a question as to how BlackBerry will bring back customers who have switched over to other platforms, Heins said:"You cannot be everybody's darling. There is a clear segmentation of who BlackBerry talks to. If your friend is a multi-tasker, hyperconnected, gets stuff done, she's probably going to be very, very attracted by BlackBerry 10."